People often wonder what kind of mats are suitable for the use and whether they should go for EVA interlocking jigsaw mats or tatami mats. At Ezy Mats we stock both options as we understand that people may choose to go for one type of mat or the other. Both mats have there advantages and should be considered when making a purchase. EVA interlocking jigsaw mats come in a variety of sizes which makes it a more flexible proposition. Jigsaw mats are available in 20mm, 30mm, and 40mm. The are 1m x 1m in size. They are also available in more colours options which include black/red, blue/red and black/grey. We also have other colour options on request such as blue/yellow, blue/green etc. Jigsaw mats are also cheaper so they are to be considered where there are budgetary constraints. Come with more size options. Are inexpensive and meet most mats budgets. Are available in a variety of colour. 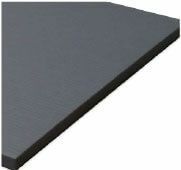 Vinyl tatami mats are usually suitable when a more longer lasting and durable mat is required. They have a compressed foam inner and tough vinyl outer. They are used where there will be a lot of traffic and consistent use is expected over a number of years. Tatami mats are popular in martial arts especially judo, jiu jitsu and other grappling arts. They are not limited to use for martial arts though and have been used for other sporting applications. Excellent for martial arts like judo and grappling. Come in a variety of colours. Have a traditional tatami finish. Call or email Ezymats today for you next jigsaw mats or tatami mats purchase.